Months down the road, I started attending Tajweed classes to perfect my recitation of the Quran. 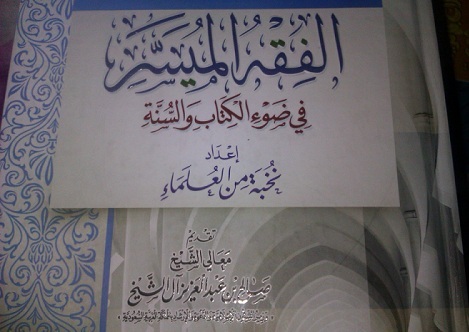 It should be noted that this is a subject of its own for not every average Arabic reader is capable of such. I learnt a lot and yet I still have a long way to go. Anyways, that’s beside the point. For a while now, I’ve been pondering as to how exactly fiqh class entered my life only to conclude my Quran/tajweed teacher suggested it. And what a suggestion it was. No amounts of words can amount to how grateful I am. The center I studied Quran and Tajweed at occasionally held Islam related classes. One of these classes was Fiqh and Explanation of the 40 hadiths of Imam Nawawi held by -I think the polite term is- Ustadh Ranya, once a week. I loved her. Still do. Upon joining the class, I was welcomed like never before. Seeing as we had a lot to cover and four days a month weren’t enough and Ramadan was 8 classes away. So we put the 40 hadiths on hold and proceeded with completing Fiqh of Salat(Prayer), so we could start Saum(fasting) for there were great merits of studying such a topic before the month of Ramadan. Every Saturday, I would attend Tajweed and Quran classes at 10am and Fiqh class at 12pm. So I’d have to leave the place I called home at 9:40, walk to the main road, catch a bus. Stop the bus in front of the building the Center was located in. By 11 I’d be done. So I’d have to wait a good hour before fiqh classes. In this hour, if I wasn’t napping, random people would approach me and we would converse; in Arabic. The people who often kept me company was a mother and her daughter(my age) who are from one of those countries that end with –stan. We’d talk about many things; well, they’d start the topics that I’d finish. I think there is no greater feeling than two somewhat broken speakers in a foreign language communicating successfully. So, before we knew it, they had Quran class and I had Fiqh class. My teacher was great. -Come to think of it, I am deeply saddened for I didn’t call her to notify her that I was departing her homeland.- &The students were great. I would say the only person who was younger than me was one of the mother’s children. Not only was I the youngest* luckily for me knowledge has no age bracket. Hence, I felt at home. * but also the only student not from one those countries that end with –stan. Instantly did i fall head over heels in love with Friday and the sermon and the prayer even though I knew Jummah wasn’t my obligation. But still took it upon me to implement the above hadiths. The prophet said “لا تمنعوا إماء الل مساجد الل” “Do not stop Allah’s women-slave from going to Allah’s Mosques.”. I literally lived in between two mosques; a big one and a small one. But for some reason I preferred the small one despite it being next door. So after learning the simplified Fiqh of Friday Prayers, 5 weeks before I departed Egypt, I started practicing what I learnt immediately. I followed most of the shurt(conditions) and ahkam(commandments)*like I couldn’t possible perfume myself *. And happily I would attend this prayer looking forward to what the sheikh had to share. Before my eyes, A new love was born. In the mosque I attended 5 weeks in a row, the Imam explained one hadith. The following hadith will inshallah echo in my head in the Imam’s taqwa filled voice forever. عَنْ أَبِي هُرَيْرَةَ ، قَالَ : قَالَ رَسُولُ اللهِ صلى الل عليه وسلم:مَنْ يَأْخُذُ مِنْ أُمَّتِي خَمْسَ خِصَالٍ ، فَيَعْمَلُ بِهِنَّ ، أَوْ يُعَلِّمُهُنَّ مَنْ يَعْمَلُ بِهِنَّ ؟ قَالَ : قُلْتُ : أَنَا يَا رَسُولَ اللهِ ، قَالَ : فَأَخَذَ بِيَدِي فَعَدَّهُنَّ فِيهَا ، ثُمَّ قَالَ : اتَّقِ الْمَحَارِمَ تَكُنْ أَعْبَدَ النَّاسِ ، وَارْضَ بِمَا قَسَمَ اللهُ لَكَ تَكُنْ أَغْنَى النَّاسِ ، وَأَحْسِنْ إِلَى جَارِكَ تَكُنْ مُؤْمِنًا ، وَأَحِبَّ لِلنَّاسِ مَا تُحِبُّ لِنَفْسِكَ تَكُنْ مُسْلِمًا ، وَلاَ تُكْثِرِ الضَّحِكَ ، فَإِنَّ كَثْرَةَ الضَّحِكِ تُمِيتُ الْقَلْبَ. For 5 weeks, he explained the last three points of this hadith. And through his sermons did I grasp a new understanding. Personally, one of the main reasons I can’t wait to go back to Egypt is to start attending Friday prayers just around any corner, hoping the Imam doesn’t use too many words I don’t understand. The end!! Thank you for bearing with me.